Meet the contact lenses that can project images straight into your eyes. 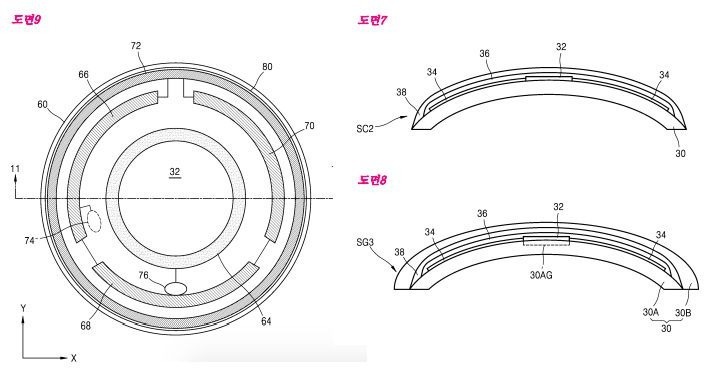 Patent diagrams for Samsung’s smart contact lenses. With this development, Samsung joins Google in the arena, who also owns two patents for smart contact lenses. Google’s contact lenses are mainly intended for medical use, with sensors and flexible electronics to read tear fluid chemicals to determine blood sugar levels. Google and Samsung both filed their smart contact lens patents in their respective countries in 2014; however, it’s possible that both companies are currently just at the concept stage, rather than actively developing smart contact lens prototypes. Indeed, tech companies file (and are granted) all kinds of patents all the time, and it doesn’t indicate that a corresponding commercial release is bound to follow suit. Stay tuned to Futurism for more on this story and other future tech and science.